Exploring the 2015 revision of EN 13594. It is well known that riding a motorcycle involves the potential for injury due to falling off, or being in a collision with another vehicle or obstacle. Good rider training in defensive techniques can go some way to reducing the risks. However, regardless of who is responsible for accidents involving motorcycles, it is a fact that the rider can be seriously injured. Gloves worn by motorcyclists are often required by the rider to perform a number of different functions. For instance, most wearers will rely on them to keep their hands warm and dry. However, it is also vital that the gloves do not have an adverse affect on dexterity, which might prevent safe use of the motorcycle controls. 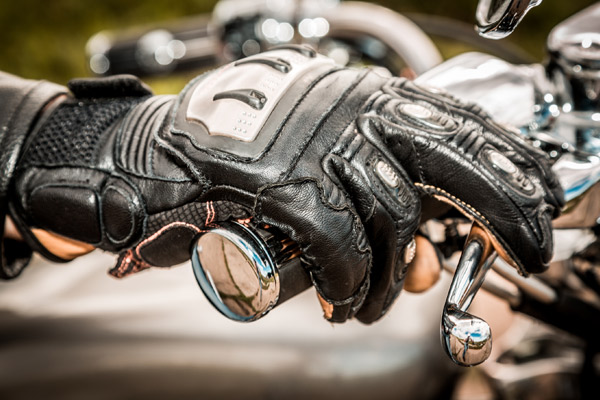 While it is desirable that they are capable of providing some protection in the event of a road accident, not all gloves worn by motorcyclists are considered by the manufacturer to be protective. There are many items of ‘fashion wear’ that either do not provide, or were not designed to provide, any significant level of protection. The European Directive on personal protective equipment (PPE) covers gloves that are intended to provide some protection to the motorcyclist against personal injury during an accident. This legislation requires examples of the gloves which are intended for sale in the EU to be independently tested and approved before the manufacturer applies the CE mark and places them on the market. The PPE Directive is a general piece of legislation that is supported by a large number of product standards specifically developed by CEN, the European standards body. The PPE Directive requires that design aspects of the protective equipment be assessed to ensure that adequate protection is provided and that no additional hazards are being introduced. It also requires that the information provided with the protective equipment meets certain minimum criteria. Europe currently leads the world in the setting of safety standards for motorcyclists’ protective clothing, and there is a technical committee within CEN (TC162/WG9) that is devoted to this specialised work. A list of all the standards developed by CEN for motorcycle rider PPE to date is given in box 1. EN 13594:2015 covers motorcyclists’ gloves. The original version of this standard was first published (and is dated) 2002, and had a scope limited to professional use. However, the 2015 revision removed this restriction and now applies to both professional and non-professional riders. EN 14021:2003 – The standard for the specialised body protectors generally worn while riding off-road to protect against impact from lofted stones. The standard includes tests for design, dimensions, impact performance and ergonomics. One of the most common types of wound caused by a motorcycle accident is an abrasion injury – often referred to by bikers as ‘road rash’. If any such open wound is then contaminated by dirt and grit, the treatment and healing process becomes far more prolonged and difficult. It therefore follows that one of the most important functions of the glove is to act as a protective layer to prevent open wounds being caused. Requirements that cover the general design of the glove, such as its overall length. Tests on the integrity of the whole glove, which include a measurement of the strength of seams or joints between pieces of material forming the protective layer. Clearly this is important, as any failure in these joins may lead to splits in the glove that will expose the rider’s hand to abrasion injuries. Tests on the innocuousness of the materials used to construct the glove. These include pH value and chrome VI content of any leather materials. The use of hard inclusions (such as metal studs or buckles) is also restricted to those which do not present a hazard to the user’s hand. To ensure that the rider can still ride safely while wearing the gloves, a procedure is included to assess the ergonomics of the glove. 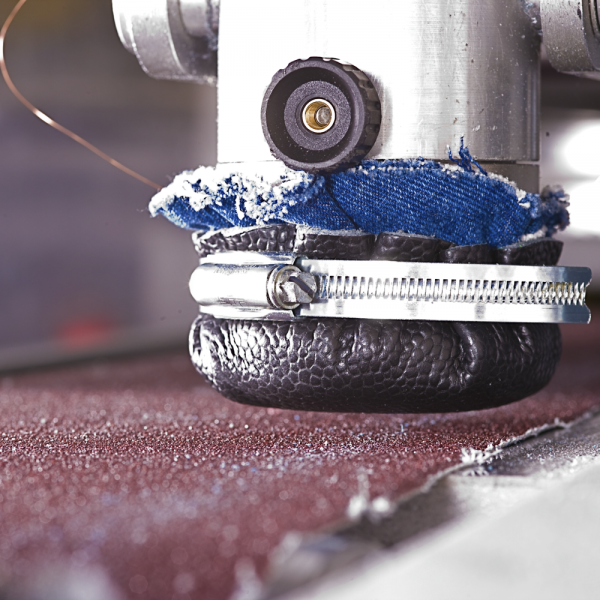 Tests to ensure the glove materials are sufficiently durable include an assessment of cut resistance using a reciprocating circular blade machine and a tear strength test – both of these as defined in EN 388 – plus an assessment of abrasion resistance using an impact abrasion machine (a modified version of the procedure also used to test material for protective jackets, trousers, suits and boots – see online video clip and figure 1). A test to assess the restraint of the glove on the wearer’s hand is also included, as clearly the glove will not offer any protection to the wearer if it is pulled or thrown off the hand during an accident. Finally, there is a test for impact protection which measures the product’s ability to reduce forces transmitted to the hand caused by an impact. This test is mandatory for all level 2 gloves, plus any gloves that are designed to attenuate impact energy. To affix the CE mark to a particular design of motorcycle glove, it should first be assessed by a Notified Body such as SATRA. The Notified Body will assess the associated technical documentation, often referred to as the technical file – see box 2 – which will include all relevant testing has been carried out, and the gloves have been correctly designated with respect to the level of protection offered. copies of relevant test reports. Please email ppe@satra.com for assistance with the testing and certification of gloves for motorcycle riders.